University President David Pershing says he has accepted Lee's resignation and will name an interim leader. 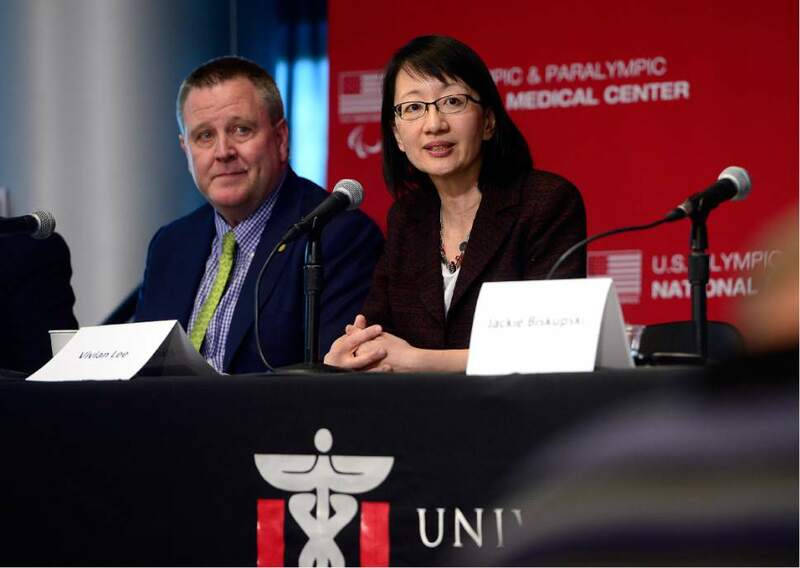 Courtesy | Jon Huntsman Sr. Jon Huntsman Sr. Scott Sommerdorf | The Salt Lake Tribune Dr. Vivian Lee, Senior Vice President of the University of Utah Health Sciences, speaks during a press conference where leaders of the University of Utah, the United States Olympic Committee (USOC) and Salt Lake City joined with Olympic and Paralympic athletes to celebrate a special joint announcement, Wednesday, May 11, 2016. 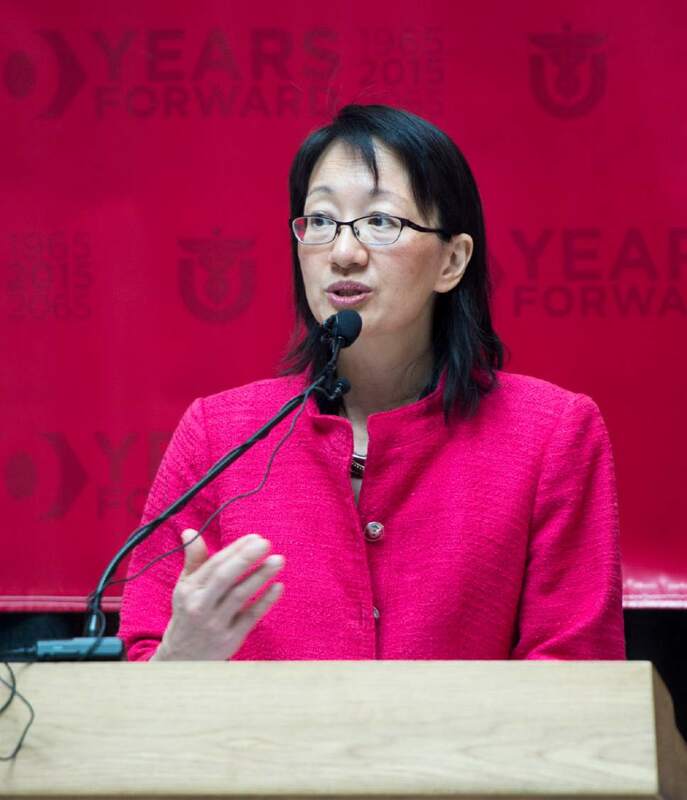 Rick Egan | Tribune file photo Vivian Lee, senior vice president for health sciences, says a few words at a press conference celebrating the 50 years of the University Hospital, at the University of Utah Hospital, Friday, July 10, 2015. Al Hartmann | The Salt Lake Tribune Vivian Lee, dean of the University of Utah Medical School, greets students for Match Day in 2013. The medical students tore open their long-awaited match envelopes to find out where they will live and work for the next few years while completing their residencies. The 21 women and 52 men are headed to 24 states, pursuing 17 specialities, Lee announced at the morning ceremony. Francisco Kjolseth | The Salt Lake Tribune Vivian Lee, CEO of the University of Utah Health Care emerges from a university board of trustees closed executive session following discussions over the recent firing of Dr. Mary Beckerle, the CEO and director of the Huntsman Cancer Institute. A decision on her possible reinstatement is expected later in the day on Tuesday, April 25, 2017. 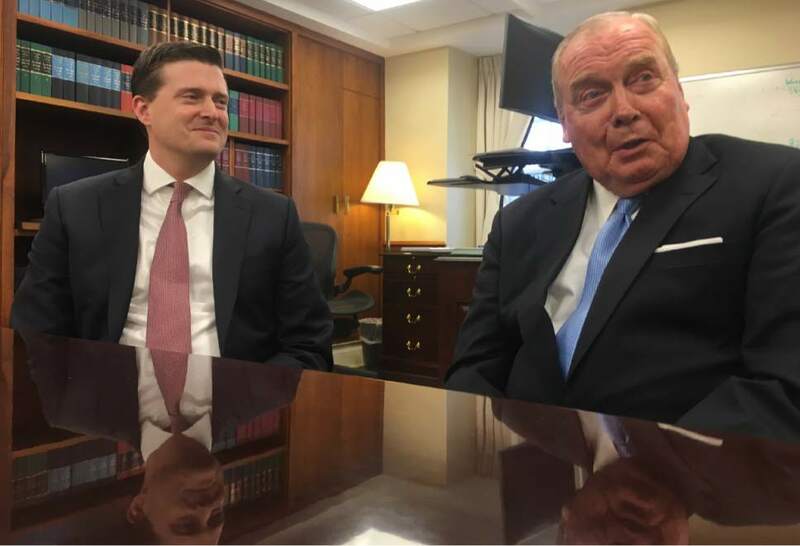 Thomas Burr | Tribune file photo White House staff secretary Rob Porter, left, meets with Jon Huntsman Sr. at the White House on Thursday. Huntsman held the same job as Porter in the Nixon administration and dropped by to offer advice. Porter's job is described as being the "air traffic controller" of the White House. 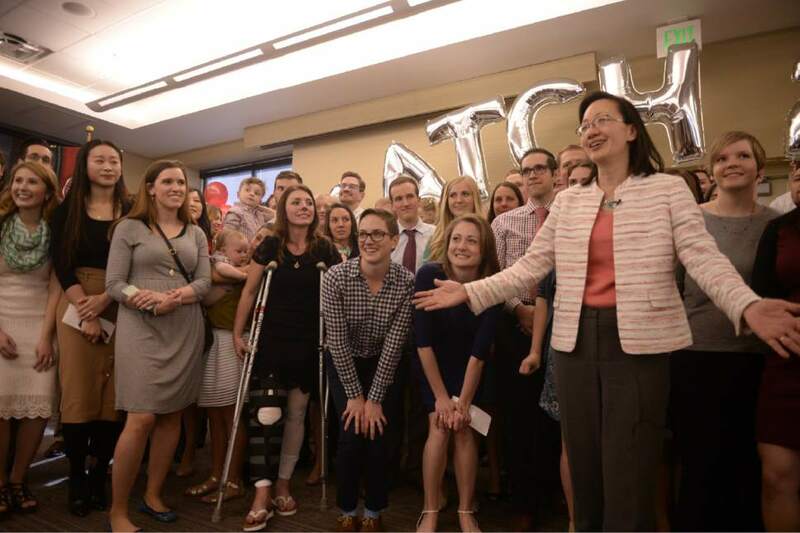 Al Hartmann | The Salt Lake Tribune Graduating students from the University of Utahs School of Medicine gather Friday March 17 to pick their envelope announcing the results of their residency match. A happy and exciting occasion for friends and family. Francisco Kjolseth | The Salt Lake Tribune Vivian Lee, CEO of the University of Utah Health Care emerges from a university board of trustees closed executive session following discussions over the recent firing of Dr. Mary Beckerle, the CEO and director of the Huntsman Cancer Institute. A decision on her possible reinstatement is expected later in the day on Tuesday, April 25, 2017. 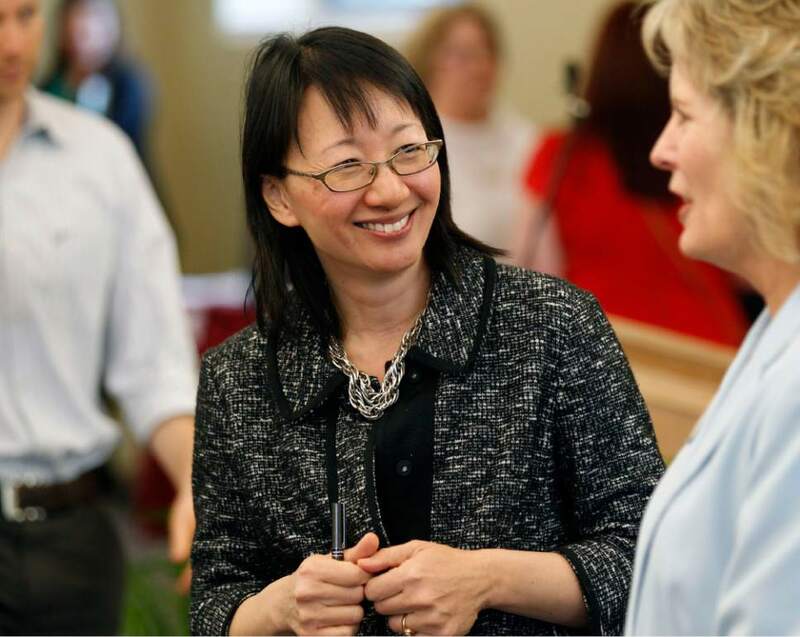 University of Utah Health Care CEO Vivian Lee has resigned from her post after weeks of turmoil that began with her firing of Huntsman Cancer Institute leader Mary Beckerle, who later was reinstated by the U.&apos;s president. In an email Lee sent to colleagues Friday, she said she decided to step down from her roles as senior vice president for health sciences, dean of the medical school and CEO of the health system  "effective today." Lee will remain on the staff as a tenured professor of radiology, said a news release from the U. "Taking account of the events of the last two weeks, I believe the best interests of the university are now served by the decision I am taking today," she wrote. Lee fired Beckerle from her roles as Huntsman Cancer Institute director and CEO earlier this month, a move institute benefactor Jon Huntsman Sr. partially attributed to a "power grab by an unethical and dishonest Vivian Lee." U. President David Pershing reinstated Beckerle this week and said Beckerle would now report directly to him, rather than Lee. Pershing said in a statement Friday that he has accepted Lee&apos;s resignation and will name an interim leader. He said Lee "has led a remarkable transformation of our academic and research operations and has been at the forefront of innovations in health care delivery at the national level." Lee was hired in 2011 by interim U. President A. Lorris Betz, replacing him in the senior-vice-president, dean and CEO roles. She came to Utah from New York University, where she was vice dean and chief scientific officer for NYU&apos;s medical center. At the U., she has led a push to integrate the colleges and departments in health sciences, analyze and reduce the costs of care, improve quality, and boost innovation. She wrote in her email that she&apos;s "worked as hard as [she] could to carry forward the mission of our entire health sciences community and of the university." Lee urged staff members to "not permit the events of the past two weeks to divert us from our fundamental mission." She believes, with her decision, "our entire community can readily return to its vital focus on health sciences, health care, education, and service." On a personal note, she added, "It is fair to say that some of the strong invective directed at my integrity and character, which was carried in the news media over the past two weeks, has been disturbing, especially to the younger members of our family in this close-knit community in Utah we have come to call home. I am hoping my decision today will help in putting that completely in the past." Huntsman Sr., who at one point after the termination of Beckerle called for Lee to be fired, said Friday he was "delighted" at the news of her resignation. "She was a terribly divisive individual, and she&apos;s been this way since she arrived basically," Huntsman Sr. said, adding that her reputation for terminating people without notice has "generated fear" at the U. "She&apos;s the type of person who ruins any organization she touches," he said. No reason has been given for Beckerle&apos;s firing. Susan Sheehan, president and chief operating officer of the Huntsman Cancer Foundation, said Friday that the only specific issue raised by the U. came in December. She and Peter Huntsman, CEO of the cancer foundation and the Huntsman Foundation, met with Pershing and Lee that month. Their discussion was about a planned $130 million contribution from the family&apos;s foundation to the cancer institute, she said. During the meeting, concerns were raised that the institute was not drawing enough competitive grants, Sheehan said. But the numbers they provided did not seem correct, she said. When she checked the institute&apos;s grants herself, she said, she found that National Institutes of Health funding had increased in 2016, from $34.8 million the year prior to $37.1 million. And all cancer grants and contracts increased to $61.1 million in 2016, from $55.9 million the year before. "I felt satisfied that it wasn&apos;t a valid concern, that there were flaws in the way they were evaluating it," she said. But Sheehan heard that the perception of reduced grants persisted on campus, she said. The $130 million contribution was tabled temporarily between Beckerle&apos;s termination and reinstatement. Ed Clark, chairman of U. pediatrics, said Lee&apos;s resignation was "absolutely unexpected and draws into question what our future will be." He added: "We have lost an iconic and effective leader with national and international presence. ... It&apos;s difficult to predict what this action will have on the future of the university in general, and health sciences specifically." 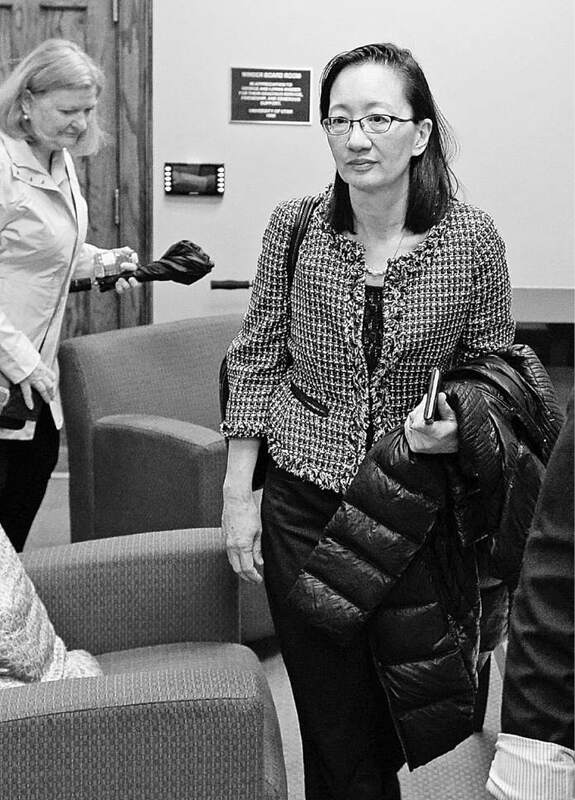 Angela Fagerlin, chairwoman of the U.&apos;s department of population health sciences, said she was upset by the news of Lee&apos;s departure. Lee provided "the best leadership I&apos;ve seen," Fagerlin said on the phone, trying to hold back tears. She said she laments Lee&apos;s resignation. "Our institution will be strong, but this will add additional challenges. This is not a good day for our institution." Catherine R. deVries, a professor of surgery and pediatric urologist, said Lee&apos;s resignation "will ultimately be a good thing for the university, but there will probably be a period of painful transition." "Vivian Lee held so many powerful positions ... that it will require rethinking with the trustees and President Pershing whether to entrust so much power to one individual." In a news release from the U., officials said they were grateful for Lee&apos;s "visionary leadership" and that they were "confident that we will continue on our current upward trajectory that we owe in large part to Dr. Lee and her tireless efforts to transform health care and medical education in our state." Thomas Lee, chief medical officer at the health care consulting firm Press Ganey, said he is disappointed that Lee has resigned, but he believes the transformation she had underway of the U.&apos;s health care system will carry on. 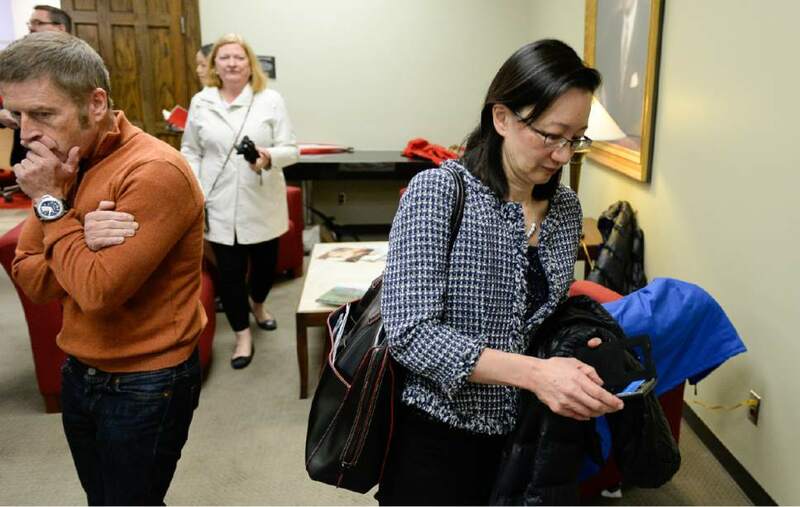 "Regardless of what the internal politics were, the fact is the University of Utah really raised its game and got much more national respect under Vivian than it had in the past," said Thomas Lee, who is not related to Vivian Lee. He co-wrote an editorial in the September Journal of the American Medical Association that said the U.&apos;s changes show "achieving better quality and lower costs is possible, and everyone can benefit: patients, hospitals and physicians, and society." He said Friday that the U.&apos;s physicians will no doubt carry on Lee&apos;s innovative approaches. "A lot of the physician leaders have really been trying to change the way care has been delivered, and they&apos;ve been very creative," Thomas Lee said. "I know that that ruffled some feathers. I don&apos;t think you can tell health leaders to stop being creative now that Vivian&apos;s leaving." While Lee&apos;s resignation comes in the wake of controversy surrounding Beckerle, Huntsman Sr. said, he believes it&apos;s also related to her dealings with Patrick Soon-Shiong. In March, a report by the news organization STAT revealed that billionaire philanthropist, biotechnologist and surgeon Soon-Shiong had donated $12 million to the U. in 2014 through his charitable foundations. But a contract outlining terms of the gift led to the bulk of the funds  $10 million  being paid to NantHealth, a subsidiary company founded by Soon-Shiong. Soon-Shiong has denounced the reports as "false." But the arrangement was questioned by tax experts, while a NantHealth representative argued that U. researchers were free to choose any company that would comply with the genome sequencing standards outlined in the $12 million gift. Lee praised Soon-Shiong&apos;s donation at the time, noting the businessman&apos;s commitment to advancing worldwide health. But Huntsman Sr. said accepting the donation "was a terrible, terrible thing for her to do for the university, as far as bringing it discredit." Utah House Speaker Greg Hughes said earlier this week that the donation merited examination by lawmakers, adding that the treatment of Beckerle magnified the concerns raised by the gift. 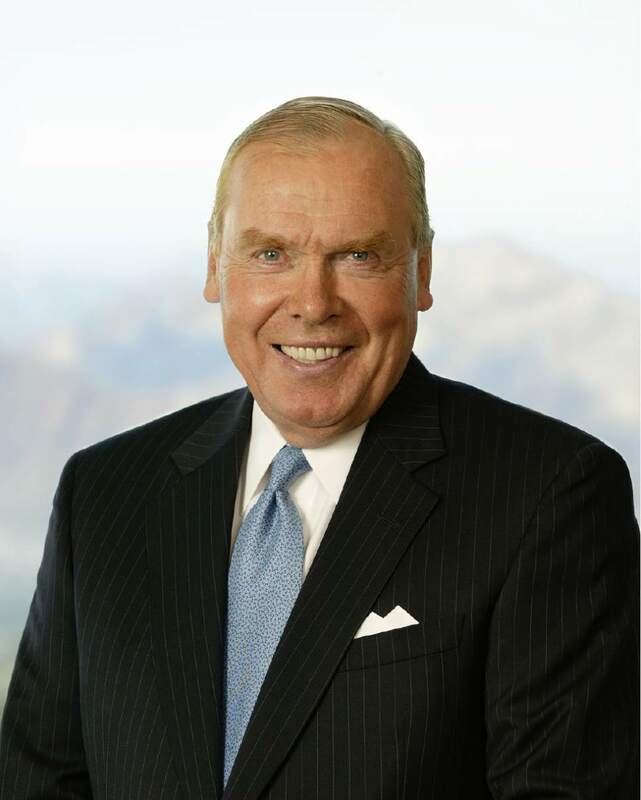 Huntsman Sr. said he believes Lee&apos;s resignation will improve the cancer institute&apos;s relationship with U. health sciences. The conflict with Lee "has been brewing since the day [Lee] arrived and wanted the institute to just become a research center and not take medical patients," he said. Huntsman Sr. wouldn&apos;t comment on whether the direct reporting relationship between Beckerle and Pershing still is necessary, but he said he "thinks all those things need to be studied carefully." He added: "Mary never had any trouble with Vivian&apos;s predecessors. So I think now we can settle down and take a deep breath and put Humpty Dumpty back together again and work as a united team as we had" before. In her email, Lee said she now steps into "a period of personal transition, focused on the improvement and transformation of health care, future callings and pathways, and above all, the joy and miracle of family." Lee said she knows her friends and colleagues are "rightly upset," and others are puzzled, by the recent events. Lee, who has not given interviews during the controversy, said in her email that she was aware that "more than a few have felt there should be some sort of reply to the very strong criticisms of leadership and actions, directed especially at me." The absence of such a response "is not because of a lack of strongly held alternative viewpoints and substantive positions," she wrote, "but rather a clear sense that the best interests of our university and of our entire community are to collegially embrace one another and all move forward together." The U.&apos;s program, she said, is "spectacularly positioned for a bright and rising future."